Question: Hi! What is the main level ceiling height? 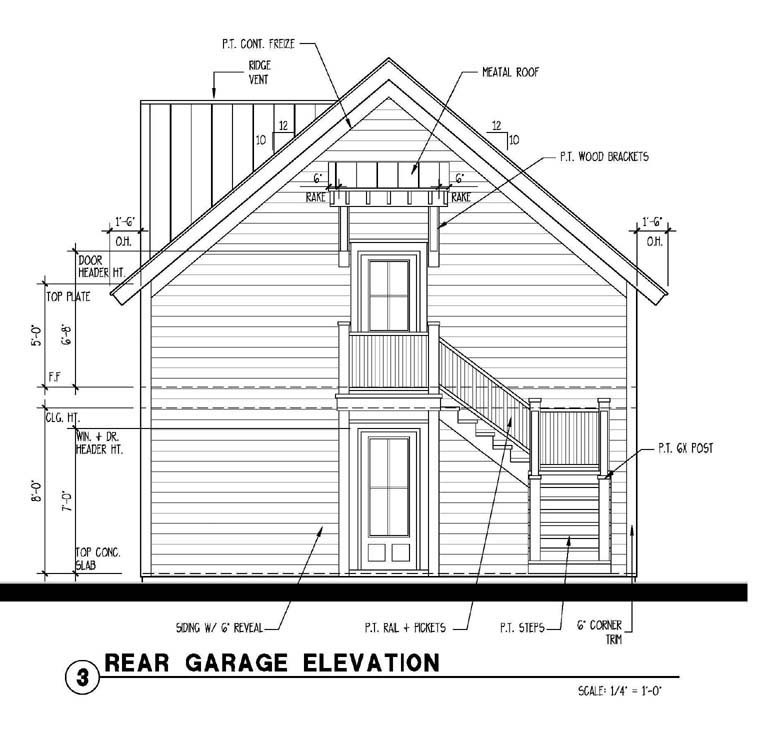 Question: What is the eave height of this structure? I don't see a dimension of this or the ridge height noted on the plans. Question: Type of framing (2X4 or 2X6)? 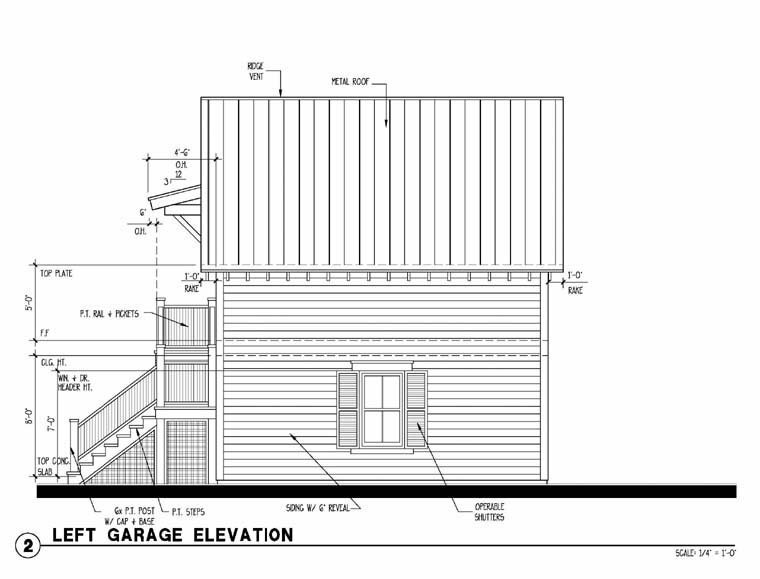 Height at ridge and mid-roof? CAD file? Thanks! 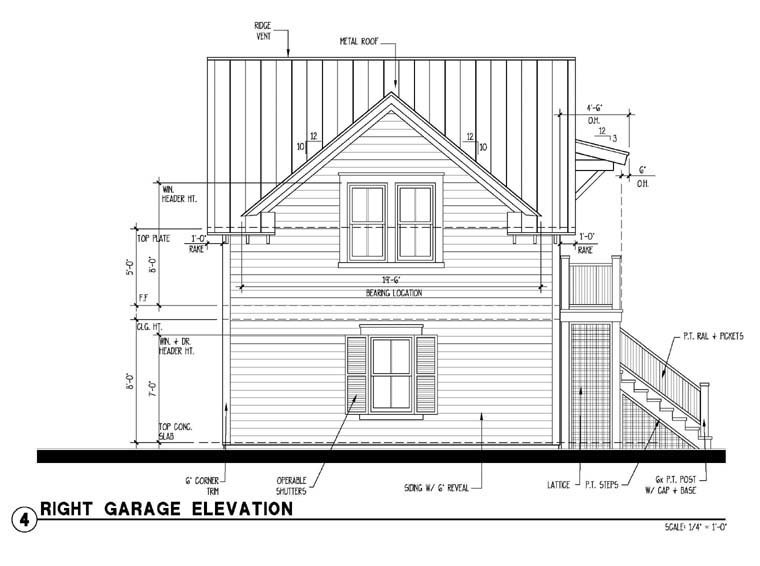 Answer: Walls are currently 2x4 Ridge Height – 25’-0” Height to mid point of roof – 19’-3” No cad file. Answer: Thank you for your interest in our firm. Our plans do not contain a materials list. You will need to have a builder review the plans or maybe a lumberyard could review the plans and give you a cost estimate. Pricing will vary depending on the materials you wish to use. Answer: Thank you for your interest in our plans. The thickness of the concrete depends on the build location due to soil conditions. Answer: We have several garages that may work for you. Please take a look at 73803, 73828, 73769. They may require some revisions to meet your needs. Do not hesitate to contact us with any questions you may have.